"When all this is over," says Kendra, flicking the syringe that Emmie had prepared earlier. "We're going to have to have a talk about risk management." "This is risk management," says Bina. 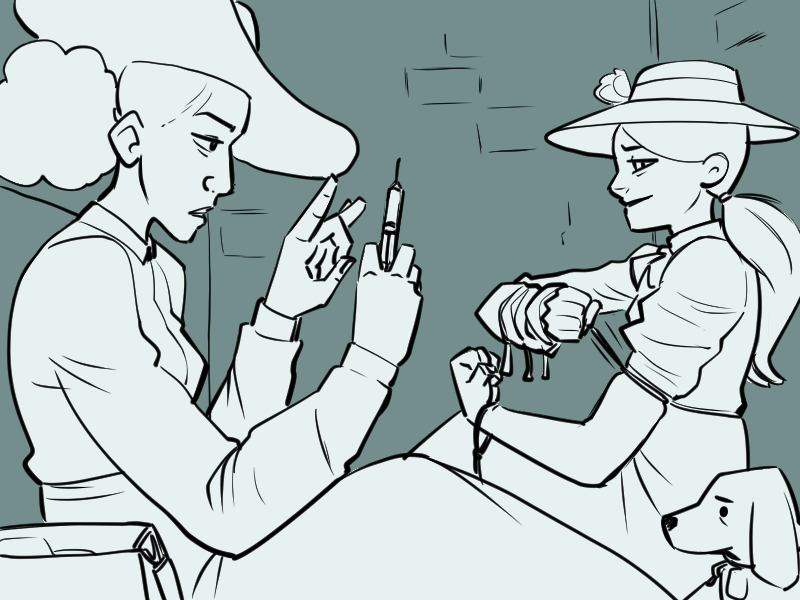 "We didn't bring a defibrillator," says Kendra, pressing the syringe into Bina's arm. "So I hope all these sedatives don't stop your heart or anything. " "Me too," says Bina. "I'm using it - my heart I mean, but also those sedatives. Do you trust Emmie?" "So do I," says Bina. They stare at each other for a few seconds, then they keep following the plan. Kendra finds the vein on her first try. The solution is cold when it hits her bloodstream.